Performance upgrades! So after searing the patch for a bit for the past week in the experimental branch we have determined that the optimizations seem to improve performance for a lot of people. That said, its not the only thing we are adding this week. Introducing the PR-61 Plasma Rifle! This new personal defence device can be printed or bought at select LogiCorp tool stores. Holding 40 shots in a single ammo canister. This piece of offensive and defensive technology will make short work of any undesirables you come across. 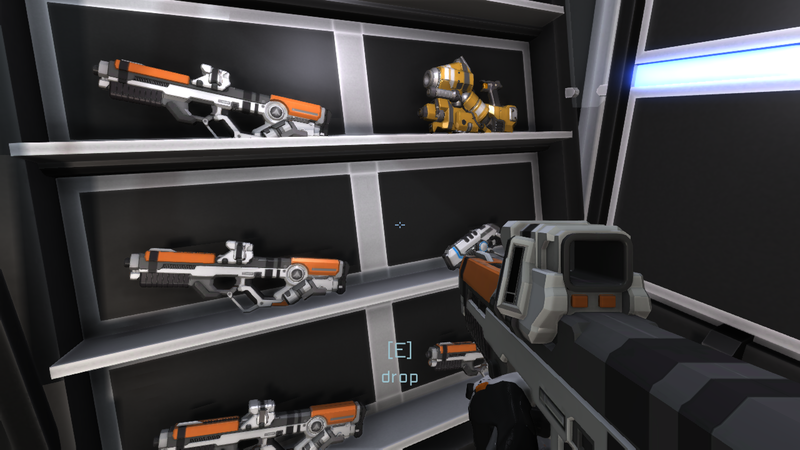 The new plasma rifle can be fired in full auto mode or in single fire mode by tapping the fire button on your mouse. The file and its ammo can also be printed similarly to how the pistol and its ammo are made. You can find the full recipe in the patch notes. For a full list of bug fixes please see the patch notes linked below.